It is peaceful in the Texas Hill Country. 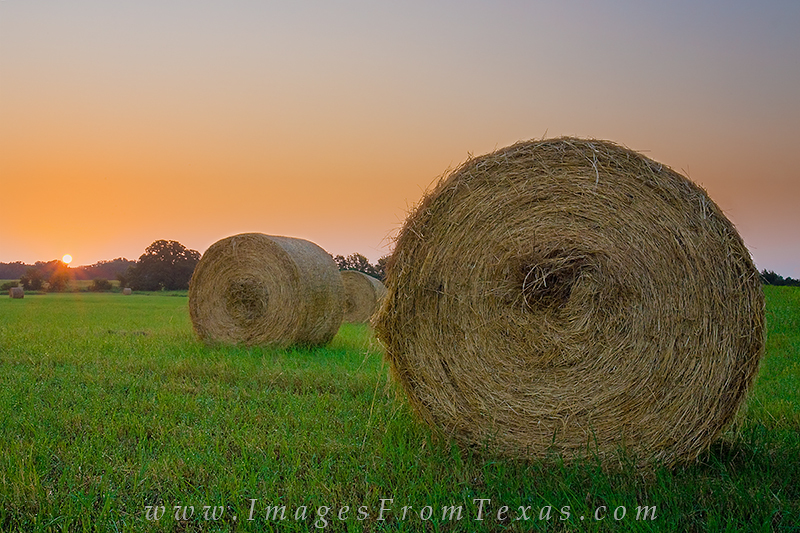 Here, a bale of hay is wet with dew as the sun rises over a ranch. Photo © copyright by Rob Greebon.